Lighter, less power-hungry and far less audible. 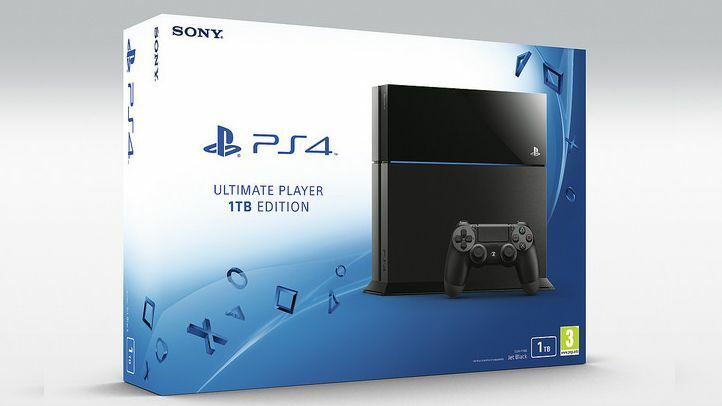 The new PS4 hardware has finally hit UK shores. After launching first in its Japanese homeland, the new PlayStation 4 design is now starting to see daylight in the UK. Back in June it was revealed that Sony had been putting a new PS4 design through FCC testing in the US and we all assumed the new 1TB console that subsequently appeared in our stores was going to be sporting this new chassis. Unfortunately the first flush of 1TB consoles were simply the original hardware but with a new, capacious hard drive dropped in. It now looks like stock of the original design, code-named as the CUH-1100 series, has run dry and we're starting to see the first of the new CUH-1200 series consoles appear in GAME stores. On the aesthetic side not a lot has changed, though you can pick it up in black or white now. There isn't the split shiny/matte design anymore, with it now going totally matte. What it does have though is a more lightweight design, with a lower capacity power supply; the peak wattage of the PSU has dropped from 250W to 230W. Now before you start worrying about the machine now having less power, the device is unlikely to ever need even 230W at peak performance. And what that all means is the new design produces less heat and what does that mean? Quieter gaming. Reports coming in from the first owners confirm the quieter operation, with a rough and ready test reading at over 10dB quieter than the original design. Of course decibel count isn't the be all and end all, but any reduction is welcome. This new design is likely driven more by a desire to cut the manufacturing costs associated to the PS4. Sony is likely to have taken advantage of new, more cost-effective components for the CUH-1200 series design, which makes the potential prospect of a holiday price cut more likely. But if you're looking to pick up a new PS4 yourself, take a look at the box and look out for the CUH-1216 code to make sure you're getting the latest hardware.